DOWNTOWN BROOKLYN – The Public Art Fund announced on Monday that artist Harold Ancart will exhibit an interactive art installation consisting of a playable handball court in Cadman Plaza Park starting in the spring. The Belgian-born, Brooklyn-based artist creates drawings, paintings, and sculptural installations using found objects, according to Artnet. His forthcoming work, Subliminal Standard, was inspired by the many handball courts found in parks across New York City. The artwork’s title references the standard colors typically used to paint handball court boundaries as well as the organic “abstract compositions and patterns” that mark their surfaces through years of play. Ancart’s sculpture will merge art and sport to create an interactive and inclusive experience for park-goers. 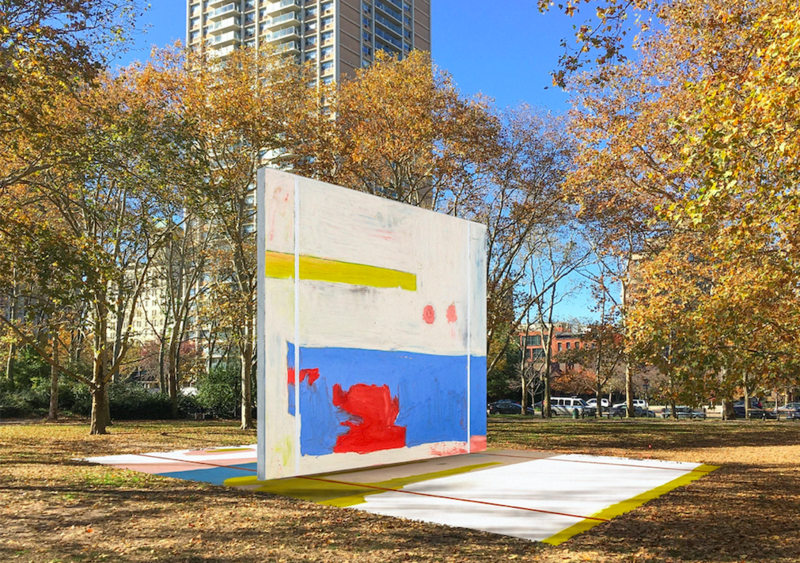 The artist will paint directly onto the walls and floor of the newly-constructed, 16-foot, two-sided concrete structure in Cadman Plaza Park in April, inviting the public to view his process. The public is invited to play on the installation for free during its ten-month run at the park. Is this idiotic? Someone knows nothing about where to put a handball court. Is this idiotic? Not where to build! the dogs will love it!